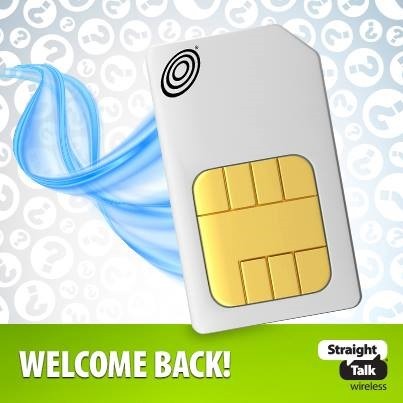 Pre-paid smartphone users were in an uproar a few months ago when Straight Talk stopped selling AT&T SIM cards to new customers. At the time, all we were able to ascertain was that the cards were sold out online, but a few retailers like Walmart still had some in stock. Well, they're back – in a limited sort of way. When you go through the sign up process, the website will only show you T-Mobile or AT&T cards for a given ZIP code. Straight Talk seems to prefer T-Mobile in many areas where both are available, though. For example, in my ZIP code AT&T and T-Mobile both have good coverage, but I only see T-Mobile SIMs after inputting the ZIP. Check 95616 for Davis, CA, and it's only AT&T. This probably has something to do with a higher cost for Straight Talk to use the AT&T network compared to T-Mobile (at least in some markets). If you want to skip the ZIP code game, this link should take you right to the AT&T mini and micro SIM cards. It looks like anyone can order them, but make sure you have AT&T service in your area. 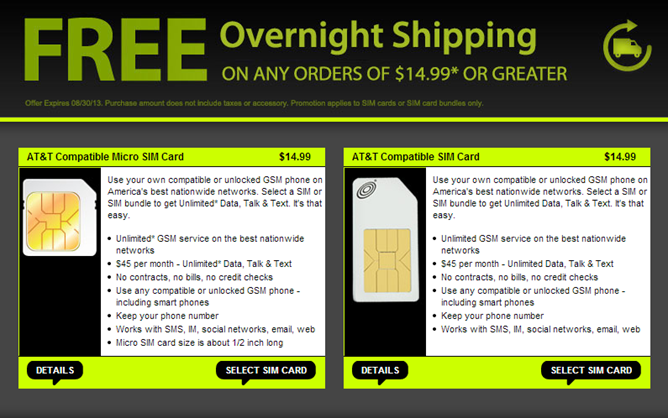 It seems like Straight Talk is just trying to limit the number of AT&T SIMs it sells for the time being.